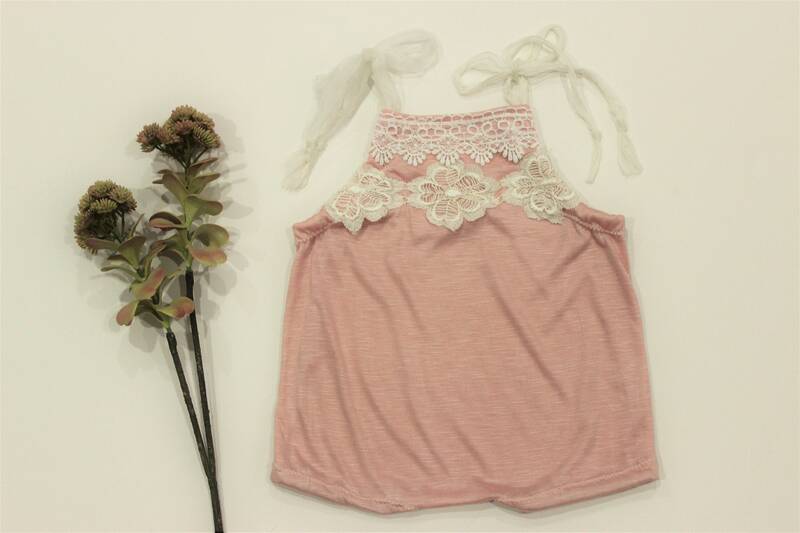 A dusty rose baby romper made of a soft stretch knit fabric adorned with off white flower appliques & scalloped lace. 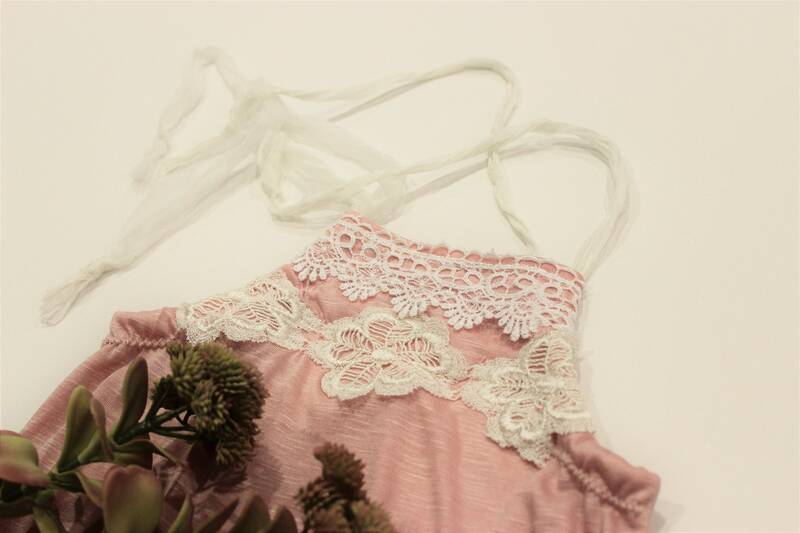 The adjustable straps are upcycled off white sari ribbon. The elasticity of the fabric is very high. Which is amazing when trying to accommodate multiple sizes and when little ones grow. 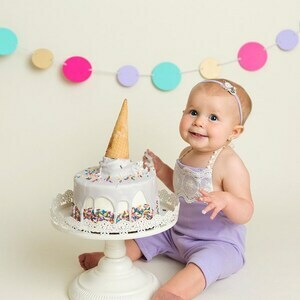 This romper was a perfect choice for my daughter's cake smash photo session. 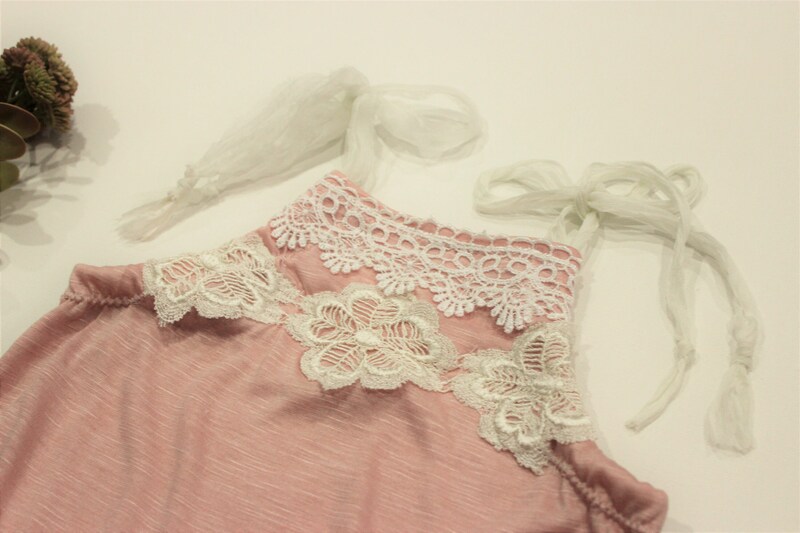 It's a beautiful and delicate romper that received lots of compliments. It is sheer though, so make sure your baby has a dry diaper so there's no blue strip showing through in the photos, or else a lot of time will be spent photo shopping! 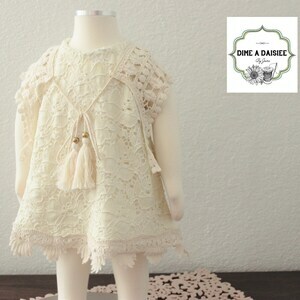 This is a great seller who was able to make and ship the romper across the country with little notice. I even received it with a few day to spare, so no stress! Thank you so much for the role you played in my baby girl's one year photos!